Well, the first visit with the Dietitian has come and gone and it wasn’t nearly as bad as I thought. I did, however, walk away with a major reality check. It was the kind of reality check that actually had me fighting back a tear or two in the office when I realized my health is quite literally teetering on the edge between healthy and sick. I can’t fall off of that edge. I need to be around for my daughter, and the thought of me not being able to be my healthiest and the kind of Mom she deserves, had me feeling quite emotional. The Dietitian I have chosen to work with is one I have known for three years. 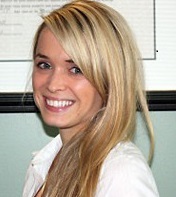 Sarah works primarily in private practice, counseling and educating patients in a variety of areas including; general healthy eating practices and physical activity, weight loss and weight gain, pre-diabetes and diabetes, high blood pressure, high cholesterol, and more. When the time and opportunity arises Sarah truly enjoys media opportunities as well as conducting group and corporate wellness presentations. Outside of work, Sarah is a dedicated volunteer with Dietitians of Canada and Nova Scotia Nutrition Month coordinator for 2013. When I walked upstairs to her office my heart was pounding, which took me by surprise. I know her well, and know that she is knowledgeable and professional. To be honest though, I think the fact that I knew her was what made me nervous. I was about to expose myself completely. Plus, I’m a big girl and she’s definitely not. I wondered if she’d truly be able to understand what it was like to struggle so much with food and your weight. I am relieved to say, however that she put me at ease almost immediately. She is warm, compassionate and non-judgmental which is exactly what you need to be in the presence of when you’re about to confess all of your bad habits and emotional hang-ups. Plus, I looked at it this way – she’s as small and fit as she is because she practices what she preaches. She’s had years of education, and that’s what is helping her to maintain her healthy weight. I think listening to advice from a Dietitian who is 600lbs would leave me thinking “Oh yeah, cause it’s obviously worked for you…”. Just as you wouldn’t feel comfortable taking financial advice from someone who is bankrupt, you need to seek nutritional advice from someone who has implemented their practices on their own life successfully. This logical thinking helped to put all of those bad thoughts out of my head. After sitting down and getting comfortable, Sarah began going through a thorough health history of both myself and my immediate family. This was to see if there are any instances of cancer, diabetes, high blood pressure, thyroid issues, digestive issues, heart ailments, etc. going down our blood line. I only know the history on my Father’s side, as my Mother is adopted, but it was enough for her to go on. Once the personal health history and family health history were completed, we started diving into my own food habits. What my typical day was for food, what habits I have (I’ve discovered a lot of what I eat is purely habitual and convenience based), what food leaves me feeling sick and gross (for me that is dairy mostly), and any sensitivities I might have. She also inquired about caffeine, alcohol and other drug intake. 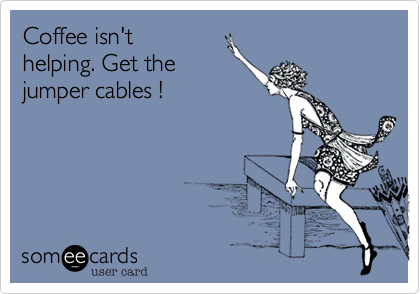 I didn’t do so well on the caffeine front, but I think a lot of Mama’s can relate as why that might be. She also gave me the option to have my anthropometric measurements taken. It includes things like getting weighed, measuring your waistline, etc. She always gives the choice to the client as to whether they are comfortable having this done. For some people, seeing a Registered Dietitian is such an emotional thing that stepping on the scale would literally throw them over the edge – so she never pressures people into it. For me, I thought I’d better go big or go home, so I took off my shoes (to take away what extra weight I could) and hopped on the scale. The number wasn’t pretty, and I tried to crack a joke to cover my insecurities. My joke I realized wasn’t necessary though, because Sarah had no outward reaction to the number on the scale, which I’m beyond thankful for. My ego couldn’t take it if I had seen a cringe. She then measured my waist. This is where most of the concern lied from Sarah’s perspective. Apparently waist measurements above a certain number put you at an increased risk for many major diseases and ailments. I was above the healthy number. This was a major reality check for me, and I found myself trembling a bit. I learned that my weight, height, waist measurements, and everything else combined has me in a Class II obese category. I always knew I was overweight, but I never thought “obese” is where I would fall. I don’t look in the mirror and see an obese person. That was devastating to hear. I also learned that my excess weight isn’t her main concern, it is my waist measurement. We need to work to decrease this as a priority. My increased waist measurement leaves me at a greater risk of developing Type 2 diabetes, high cholesterol, hypertension, coronary heart disease, gallbladder disease, obstructive sleep apnea, and certain cancers. This left my brain reeling – how could I have let it get this bad? Sarah asked me what my goals were for working with her. I told her I was tired of feeling tired, and sick of feeling sick. I didn’t necessarily want to focus on losing weight, just feeling better overall. I want my energy back, I want to feel less drained on a daily basis, and I don’t want to feel like I have to rely on caffeine to get by on a day to day basis. I also said that I wanted to be a healthier Mom and better example for my daughter. She told me that these goals were great, and that I have the right motivation. Before we start working on changes and learning to read food labels, etc., I have some homework to do. I have to do a food diary/log for three days. These can’t be consecutive days, and at least one of them has to fall on a weekend. This is just in case I have a meal one night, and then leftovers the next day. Those two days would then be too similar to each other, and less accurate as to what I would normally consume. So I am logging today (Thursday), Saturday, and Monday. It’s hard not to be conscious of what I’m eating now since I know I’m writing it all down. Sarah explained to me though, that if I try to make changes now (especially since we haven’t gotten into education yet about what kinds of changes to make, specifically to my needs) I’m only doing a disservice to myself. It won’t be a truly accurate depiction of what I eat like, and therefore when she analyzes it, it won’t be a truly accurate starting point. So, I continue to eat “normally” (read, badly) for now, so that I have a true starting point to begin from. I’m looking forward to how she analyzes it, and the suggestions for change that she will offer. The first visit was more of an information gathering session from Sarah’s standpoint, and even though we didn’t get into changes yet, I still left feeling as though I gained something. I gained insight into what my habits are just by talking about them out loud to another person. I gained perspective about just how dangerous my situation can become if I don’t work to change it. And I gained respect for what she does as a profession. I’ll keep you posted on what the outcome of my food diary analysis reveals, and where we go from here. There’s no turning back now – I can’t afford to not listen to her.